The Australian Tropical Herbarium offers the opportunity for people to carry out some duties as volunteers. Volunteers assist with some of the more routine tasks involved with specimen handling and preparation such as mounting of vascular plant specimens. Special archival materials are used in the mounting of specimens. Herbarium volunteers are usually retirees or students with a specific or general interest in the Australian flora. 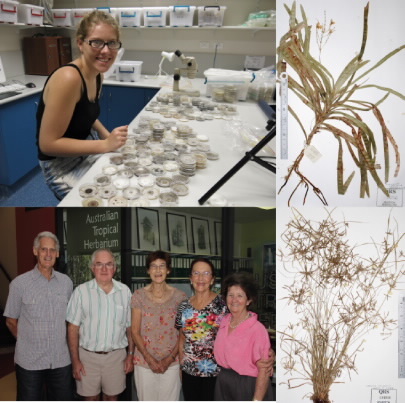 Most volunteers spend about half a day a week preparing plant specimens for archiving in the Australian Tropical Herbarium. All Volunteers are covered by insurance. If you are interested in becoming involved in the Volunteer Program or would just like to find out a bit more about it, please contact Andrea Lim on (07) 4232 1837 or email to enquiry@ath.org.au.